No one can harm you, says the LORD. I Am your rear guard. I Am your shield. I Am your defense. There is no power greater than Mine, and I have your back. I will guard you night and day. 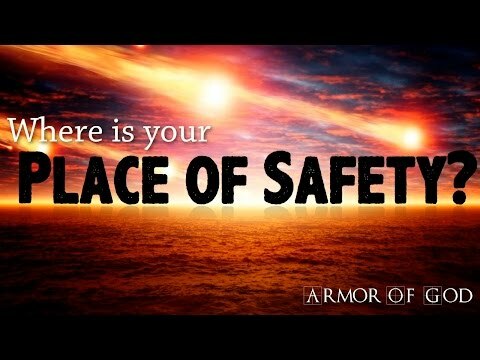 You can be sure that I Am your place of safety, and I will hide you in My Holy hand. I will not slumber nor sleep, nor get distracted. You are always in My sight and My care. Trust that you are safe in Me, and you can rest, assured that with Me on your side, your security is never a question, says the LORD. I Am your keeper, night and day, says the LORD. Did you think that darkness is a cover-up for anything or anyone to hide from Me? I know the thought and intent of every heart, and I know the enemy’s strategy. He cannot deceive Me, nor keep Me from foiling his diabolical plans against you. I will always be with you, and you need not be worried about what the enemy is up to. I will be with you in trouble, and the enemy will not be able to destroy you, nor defeat you, says the LORD. Glory to Your Name !!! Amen thank you Jesus! I receive it! I believe it!